The first prospective cohort study comparing freestanding midwifery units with tertiary units in Australia has been published, and shows that the women who planned to give birth at freestanding midwifery units were significantly more likely than women who planned to give birth at tertiary-level units to have a spontaneous vaginal birth and significantly less likely to have a caesarean section. The paper detailing the research, entitled “Evaluating Midwifery Units (EMU): a prospective cohort study of freestanding midwifery units in New South Wales, Australia” is freely available in BMJ Open. New South Wales’ maternity policy strongly supports tertiary-level maternity care for all women.6–11 Planning to give birth at a facility without on-site specialist medical support is largely perceived as hazardous and unsafe for women and their unborn babies.6 ,12 Consequently, there were only two freestanding midwifery units in New South Wales (and in Australia) in 2005, recording a combined total of approximately 300 births,13 ,14 compared with seven tertiary-level maternity units with 25 637 births.15 ,16 It is unknown whether the actual gains match the expected gains of concentrating all low-risk births in large tertiary hospitals.5 (Monk et al 2014). Studies such as this are often criticised by those who profit from the idea that birth is risky and needs to be ‘managed’ in high-tech environments, but a closer look at the content shows that these authors took measures to ensure that their research was of good quality. They analysed the outcomes according to the place where women intended to give birth, and had minimal loss to follow-up. An element that will almost certainly be further debated as more Australian birth centres are set up is the transfer rate, which in this study appears to be higher than in the Birthplace study and recent Danish research, at 51%. But the authors point out that this figure includes a high rate of antenatal transfers, at 34%, whereas the intrapartum transfer rate is similar to those in the aforementioned studies. The authors also note that “women and midwives are encouraged to err on the side of caution and transfer antenatally whenever there is a possibility that medical intervention may be required during the birth process” (Monk et al 2014). But today isn’t a day for dwelling on negativity, because this is a landmark study which needs to be celebrated. Thanks to Monk et al for their research and for producing such a straightforward and readable paper which adds to our body of knowledge in this area. 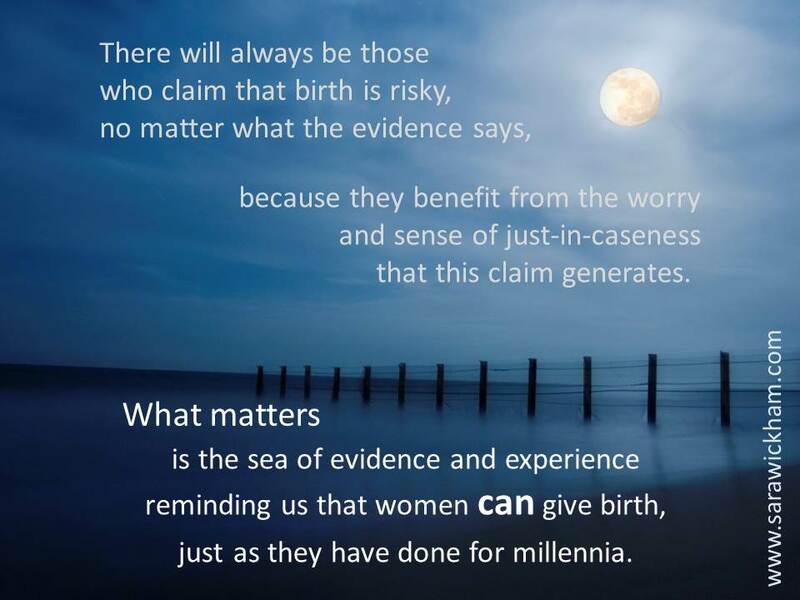 There will always be those who claim that birth is risky, no matter what the evidence says, because they benefit from the worry and sense of just-in-caseness that this claim generates. What matters is the sea of evidence and experience reminding us that women can give birth, just as they have done for millennia.. Objective: To compare maternal and neonatal birth outcomes and morbidities associated with the intention to give birth in two freestanding midwifery units and two tertiary-level maternity units in New South Wales, Australia. Participants: 494 women who intended to give birth at freestanding midwifery units and 3157 women who intended to give birth at tertiary-level maternity units. 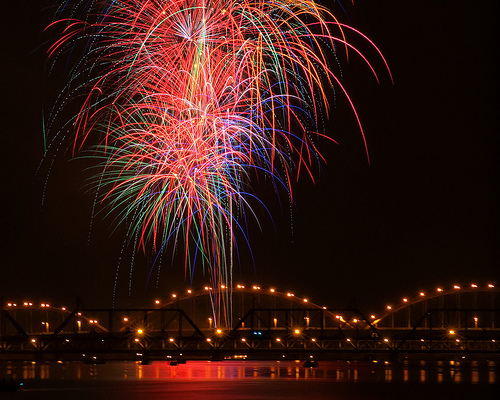 Participants had low risk, singleton pregnancies and were at less than 28+0 weeks gestation at the time of booking. Primary and secondary outcome measures: Primary outcomes were mode of birth, Apgar score of less than 7 at 5 min and admission to the neonatal intensive care unit or special care nursery. Secondary outcomes were onset of labour, analgesia, blood loss, management of third stage of labour, perineal trauma, transfer, neonatal resuscitation, breastfeeding, gestational age at birth, birth weight, severe morbidity and mortality. Results: Women who planned to give birth at a freestanding midwifery unit were significantly more likely to have a spontaneous vaginal birth (AOR 1.57; 95% CI 1.20 to 2.06) and significantly less likely to have a caesarean section (AOR 0.65; 95% CI 0.48 to 0.88). There was no significant difference in the AOR of 5 min Apgar scores, however, babies from the freestanding midwifery unit group were significantly less likely to be admitted to neonatal intensive care or special care nursery (AOR 0.60; 95% CI 0.39 to 0.91). Analysis of secondary outcomes indicated that planning to give birth in a freestanding midwifery unit was associated with similar or reduced odds of intrapartum interventions and similar or improved odds of indicators of neonatal well-being. Conclusions: The results of this study support the provision of care in freestanding midwifery units as an alternative to tertiary-level maternity units for women with low risk pregnancies at the time of booking.